Imagine a freshly baked apple pie, fields of brightly colored orchards, and the crisp crunch of a Granny Smith—we just love apples in the fall! While they're mostly used for food, apples also have an interesting history in beauty, skin care, and health. Did you know that apples and their fermented counterpart, apple cider vinegar, can be used as a digestion aid, hair rinse, and household cleaner? Enzyme-rich cider vinegar has had a long holistic history, going back to the ancient Greeks—Hippocrates, the father of Western medicine, would drink it with honey for medicinal purposes. These days, it's widely accepted in Asian cultures to drink this light vinegar to aid in digestion and neutralize the body's pH levels. Even though the West has started to embrace popular fermented "elixirs" like Kombucha, a brewed mushroom tea, it still hasn't fully caught on to the sour-tasting trend. 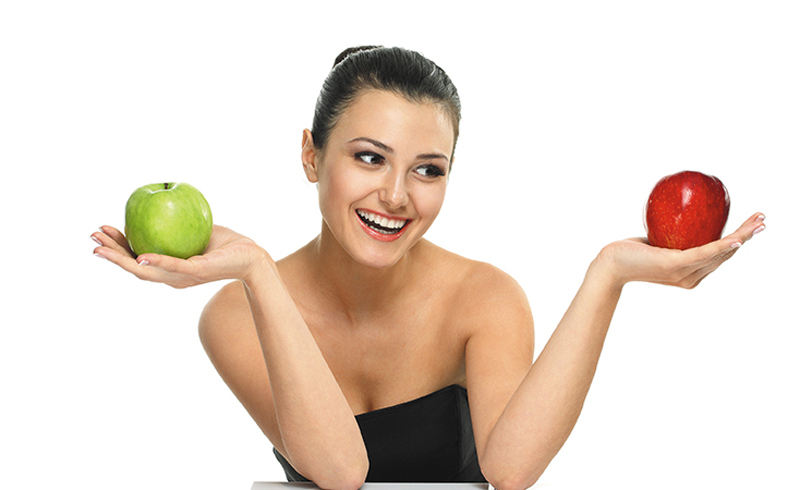 Apples have recently become a critical ingredient in stem cell technology. Human stem cells are forbidden for cosmetic use, but some scientists claim they have found an anti-aging stem cell solution that comes from a mineral-rich apple tree located in Switzerland. After running a series of tests, scientists claim that this specific apple stem cell strain (called PhytoCellTecMalus) can dramatically reduce wrinkles and improve the condition of the hair follicle and reduce thinning, though reports are murkier on the latter. The studies on these fruit extracts are relatively new, so there's more research to look forward to. 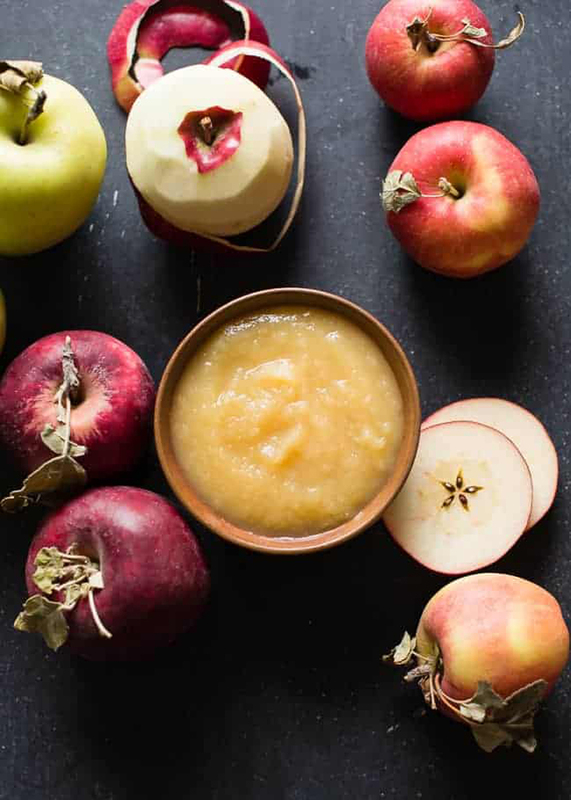 For now, try these three DIY beauty recipes and remember why apples are one of the most functional fruits for fall. 1 cup apple cider vinegar Cold-pressed and organically grown. We like Bragg's brand—found at a health store. Like beer, vinegar is known to leave hair shiny after a wash. Prepare your vinegar a week before doing your rinse. First, chop the fresh rosemary (used to stimulate the scalp and promote hair growth) and fill the jar with a cup of apple cider vinegar. Fill the rest of the jar with water up to the surface. Store in a cool, dry place for one week, shaking the jar often to disperse the rosemary. After a week is up, dilute a third of a cup of your rosemary cider mixture with three cups of warm water in a bottle, and mix well. Take the bottle into the shower with you and pour all the rinse over your hair after you shampoo. Wash it out thoroughly after a few minutes. This mask combines the antiseptic properties of honey and the anti-inflammatory ones of vinegar for soothed and nourished skin. Mix the honey and oil in a bowl until well blended. Then, gradually add apple cider vinegar until you have a pasty consistency. Apply the mask and let it stay on your face for 20 minutes. Rinse off with lukewarm water and pat your face dry. Blend the chopped apple in a blender, then slowly add remaining ingredients until the consistency is a thick liquid. Apply one or two tablespoons of the mixture to your face, avoiding the eye area. Leave the mask on for 10 to 15 minutes, then rinse off with lukewarm water. Store the extra mask mixture in an airtight container for no more than three to five days.